Tour Description: Upon your arrival, you will find our private English-speaking tour guide waiting for you at the meeting point at arrival hall of Beijing airport, holding a paper sign with your name on for you to recognize. 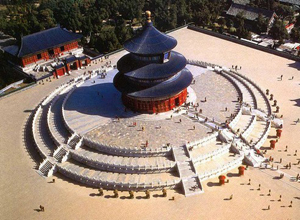 Drive to the majestic Temple of Heaven, a large-scale imperial complex where Chinese emperors held grand worship ceremonies to heaven. Drive back to airport after sightseeing. End of our service and thank you for using our service! What tour can you recommended for me? Since your arrival Beijing time is too late. Most of Beijing attractions will be closed by then. So I recommend you visit Hutongs. 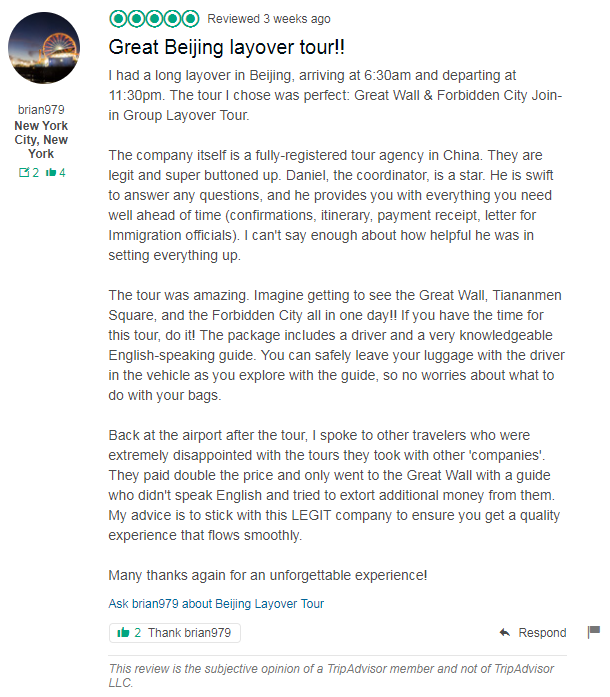 We have sent you an email about detailed tour itinerary, please check.